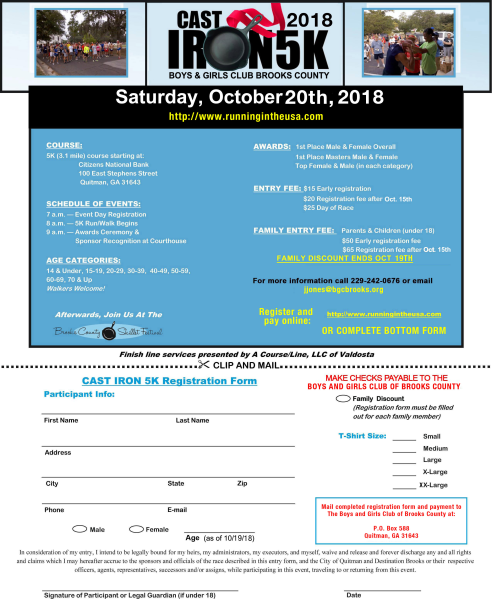 Register for the Cast Iron 5K Run/Walk today! 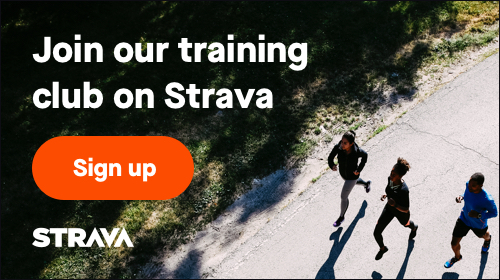 Age Groups: 14&Under, 15-19, 20-29, 30-39, 40-49, 50-59, 60-69, 70&Over - Walkers WELCOME! Awards: Overall Male and Female, Masters Male and Female, Top Male and Female in each of the age group categories - no duplication of awards. Entry fee: $15 thru 10/15/18, $20 starting 10/16/18 thru 10/19/18 at 2:59pm, $25 race day - Family discount (parents and their children 18 years and younger) - $50 thru 10/15/18, $65 thru 10/19/18 at 2:59pm. No family discount on race day. Finish Line services provided by A Course/Line, LLC of Valdosta. Afterwards, join us at the Brooks County Skillet Festival.